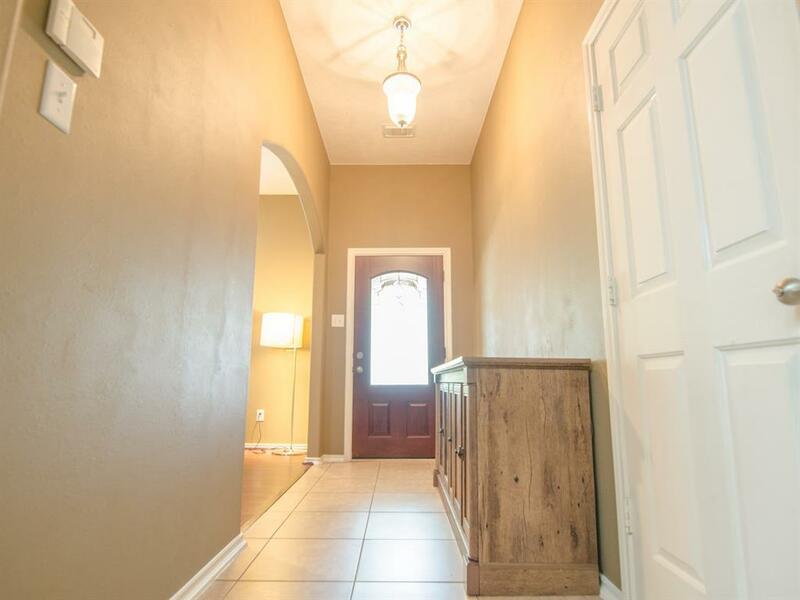 Charming one story with high ceilings, laminate wood floors, tile, ceiling fans, and blinds throughout. No carpet! Newer A/C unit & water heater. Upgraded kitchen w/ceramic tile backsplash, 42''cabinets, Corian countertops, breakfast bar, and black appliances. Spacious family room with wall of windows and gas fireplace. Large master retreat with private master ensuite with double sinks, separate shower, and whirlpool tub. Three nice secondary bedrooms, two with a Jack-n-Jill bathroom. 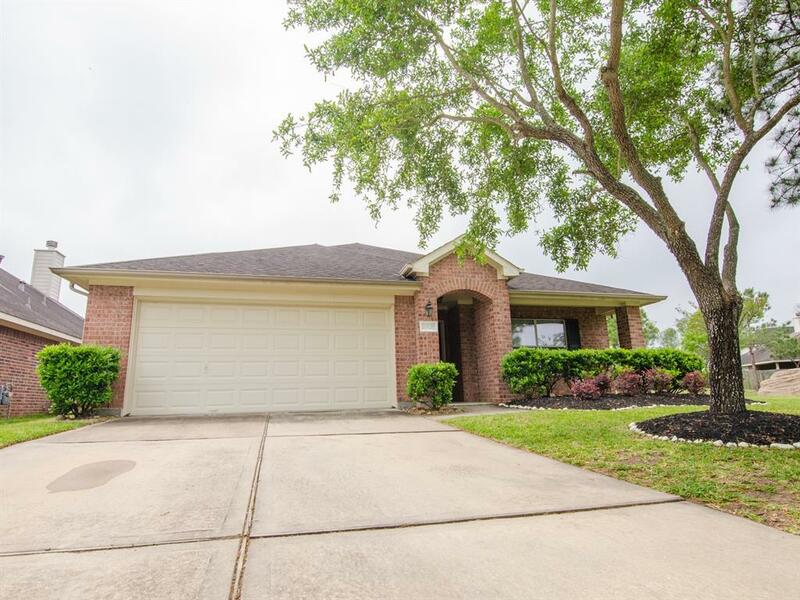 Serene backyard with fantastic covered back patio and fish pond with waterfall. Pocket park next to home. 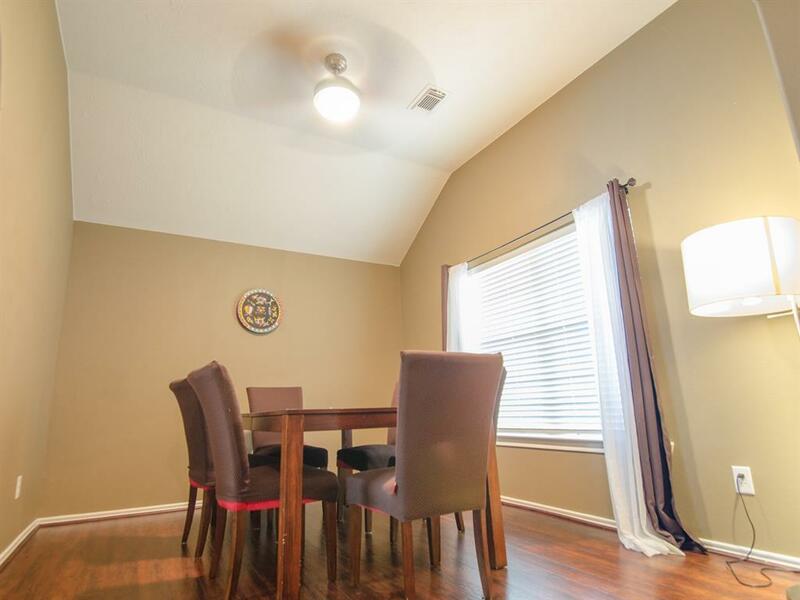 Great, convenient location to Westpark Tollway & Grand Pkwy. 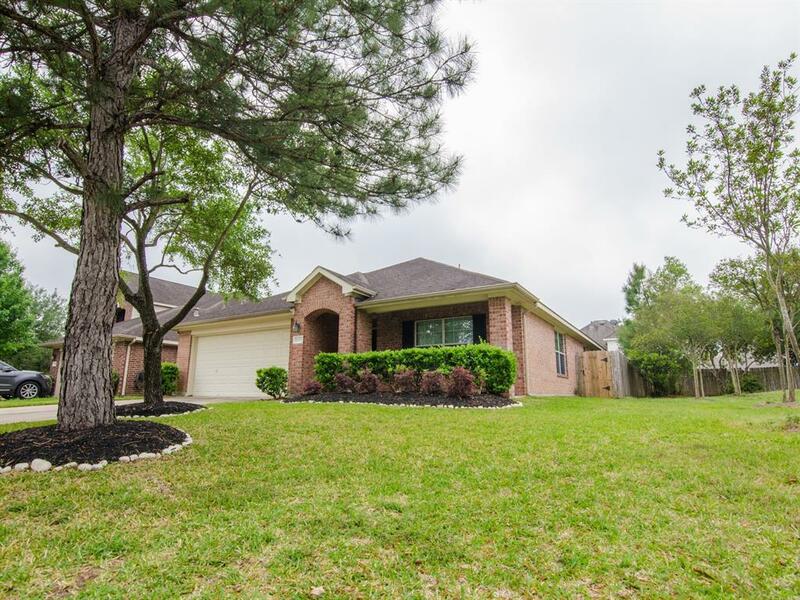 Two community pools, walking & biking trails, beautiful lakes, and many parks to enjoy.